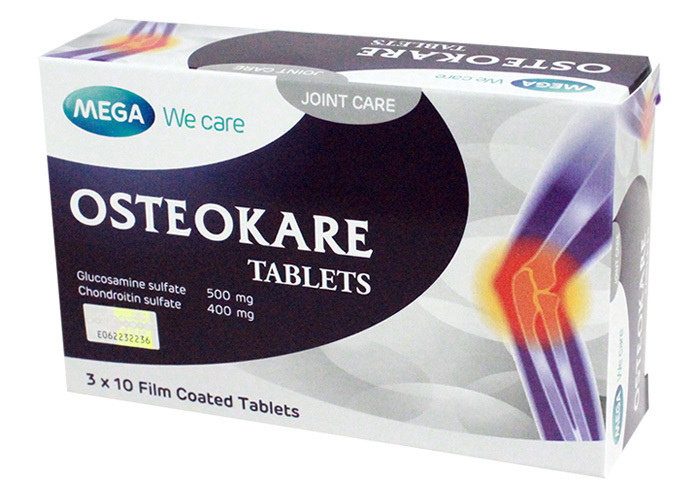 The Joint Specialist for Enhanced Efficacy-- Osteokare provides the right dose used in GAIT study for Osteoarthritis treatment (1500mg Glucosamine & 1200mg Chondroitin). It helps to relieve pain and promotes articular cartilage structure. Osteokare does not contain sodium which is suitable for hypertension patients. As adjunctive therapy for osteoarthritis. Established in 1982, Mega Lifesciences public company limited is actively involved in helping millions of people have access to safe, effective, world class quality nutritional & herbal supplements, OTC and ethical products. This is a BACKORDER item.